Libra – Soft for Android 2018 – Free download. 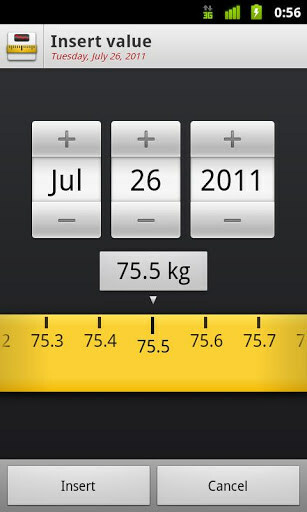 Libra – Intelligent software for weight monitoring. 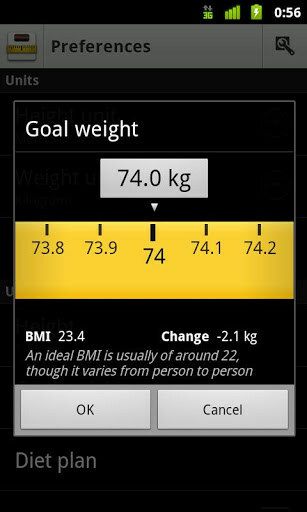 Libra program helps you keep strict account of their weight. It does not matter whether you need to gain weight to participate in sports, or lose weight, this application is useful in both cases. 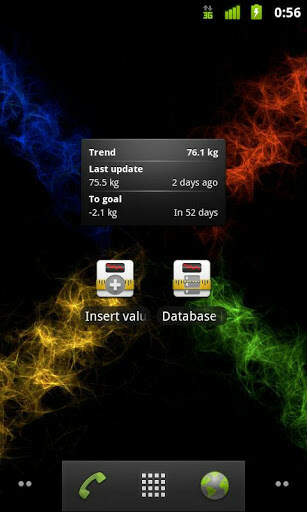 Libra interface is extremely simple and clear, and rightly so, because these programs do not have to be an irritant. Enter your current weight in the program here was pure pleasure, you do not need to enter a string of numbers, pull the ribbon to the left, if you lose weight and to the right if you typed. In addition, you can simply dictate your weight, if you click on mikrofonchik. This function works with the voice engine of Google, so you will need an internet connection. 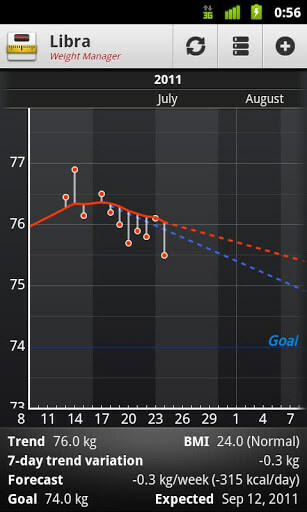 If you regularly make their weight, for example, every three days, then a couple of weeks you will be able to accurately track the trends, the rate at which you lose weight, or vice versa, gaining weight. 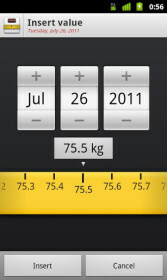 On the main screen, all your progress will be displayed in a single chart, with coordinates in the form of weight and date, it allows you to visually monitor the situation. 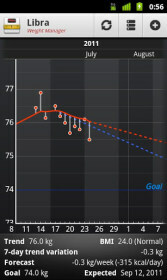 The application has a small widget on a pair of cells with current weight and display trends. You can also create labels for easy to quickly make data and browse the database. To do this a long tap on the desktop, select "add shortcut" and locate the Libra. 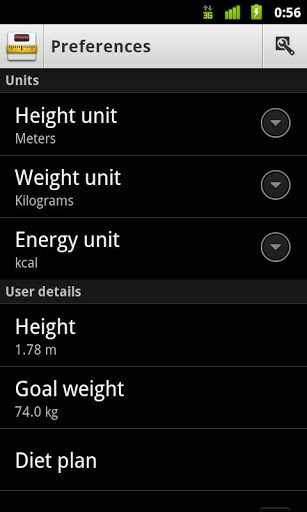 In the settings you can specify your height, desired weight, and add the units of measurement. Also in the settings, you can ask the program to recall weigh every morning, that's just a pity that this is the only available frequency reminders. 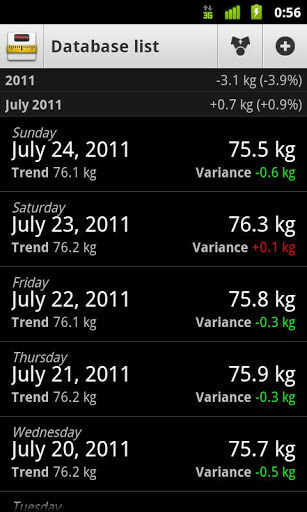 Still, the program has a very interesting mode "diet plan", where you can specify the desired weight and the date by which you want to achieve. The application will give you the current weather and report as you need to drop grams and calories in a day to achieve this result. Summary. Program perfectly cope with their problems and does not assume anything extra. The application is absolutely free, with integrated advertisements (which appears very rarely). If you want to support the developer, you can buy pro-key for $ 1.